3Pillar Global CEO David DeWolf was recently interviewed by Peter Horst for Forbes.com on the topic of how traditional businesses can successfully complete a digital transformation. Throughout the interview, David focuses on how businesses can take the first step toward becoming truly digital, while understanding that the prospect of starting a digital transformation in this age of over-saturation can be daunting. In the article, titled “What Traditional Businesses Need To Know When Beginning A Digital Transformation,” David speaks on his experience seeing companies face the multitude of issues, risks, and opportunities that come with transforming their business into a digital entity. As David puts it, “In a matter of years every successful business will have a thriving digital business,” meaning that companies need to begin thinking about taking this step now. However, most organizations default to tackling digital transformation from the perspective of an IT organization, when they should be thinking of themselves as a business offering digital software products. A software product is never done. David also offers a word of caution to businesses undergoing this change: “Where we see digital innovation fail is when an organization loses sight of either customer needs or business objectives.” Instead, companies should truly listen to and value their customer’s feedback to ensure their teams are building successful products. Visit the Forbes site to read the full article and learn the right place to start on your digital transformation journey. 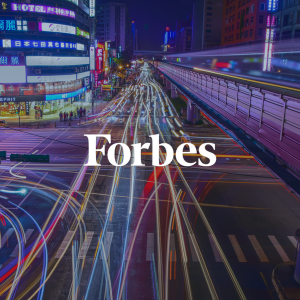 Forbes.com is the number one business news source worldwide, featuring articles on business, finance, industry, investing, and marketing. Forbes.com is a subdivision of Forbes, Inc., which publishes the bi-weekly Forbes magazine featuring articles of the same nature. Forbes.com has an online community of contributors who also provide insights on topics including technology, communications, science, politics, and law. David DeWolf is the Founder and CEO of 3Pillar Global, on of the Mid-Atlantic’s fastest growing technology companies. In this role, he has guided 3Pillar to a leadership position within the Product Development Services sector, establishing 3Pillar has the go-to innovator for content, information, and data-rich companies looking to grow revenue through software. If you enjoyed this article, please help spread the word by using the Click to Tweet feature below or the social media icons at the bottom of the post.